MIT Professor Marvin Minsky has died. This is very sad news - Prof. Minsky was perhaps the single most seminal pioneer of Artificial Intelligence research. I was fortunate enough to take his graduate course "Society of Mind" in the spring of 1998. It was pretty mind blowing. I'm not sure how much I understood, but it was fairly self-evident that we were in the presence of genius. If I remember correctly, much of what we discussed in the class was a series of logic exercises designed to help us reverse-engineer the brain. I loved the idea of studying the brain by conceptualizing it as a complex interconnection of simple components - using engineering to forward neuroscience?! Like I said: mind blowing. A unique, quirky, and brilliant individual. His textbook was pretty excellent, too. I recommend it highly! 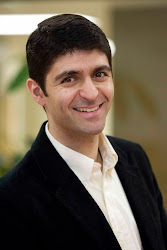 Dr. Obeid is an Associate Professor of Electrical and Computer Engineering at Temple University. He studies mechanisms for recording and decoding electrical signals from the brain, with applications in Brain Machine Interfaces. His work has been recognized with a CAREER Award from the National Science Foundation. He is also the co-founder of the Neural Engineering Data Consortium.